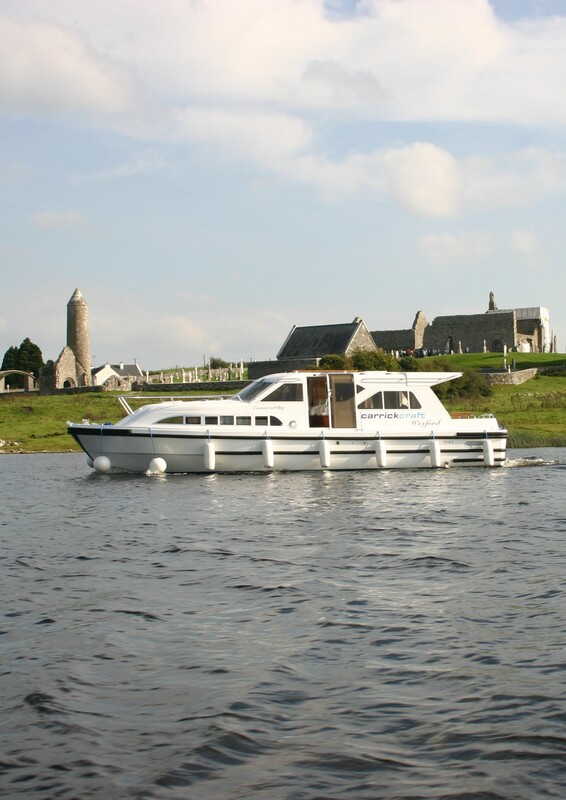 The Wexford Class is a 36′ sedan cruiser with a double cabin forward and two single-bed cabins midships. 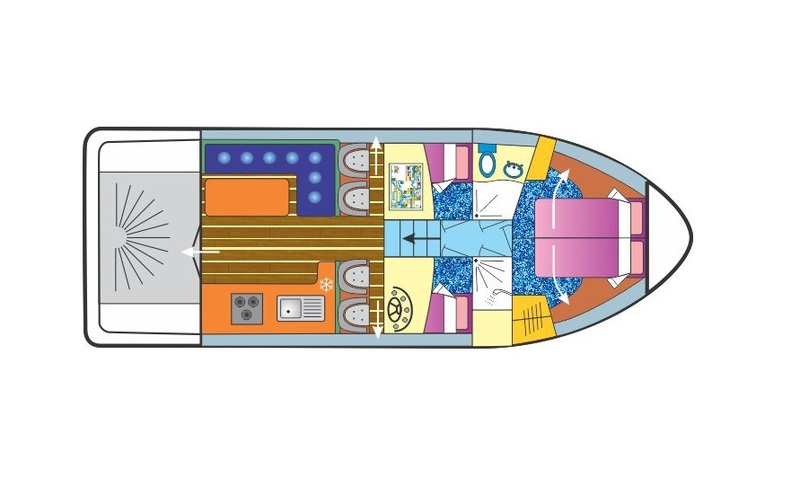 Unique forward cabin with either island Queen-size double or two single beds. 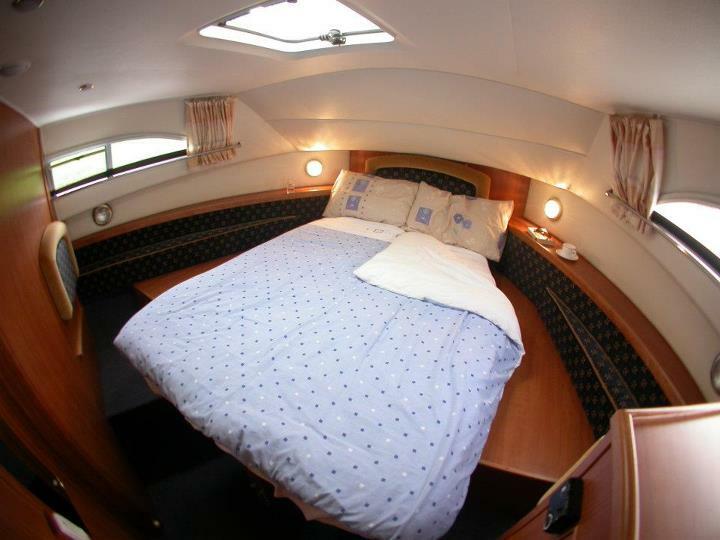 Two side-cabins with single bed, wardrobe and bedside shelf. 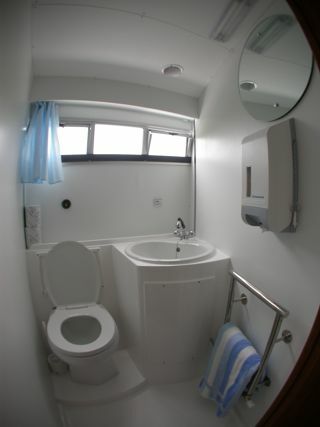 Push-button electric toilet flushes quietly and effeciently. Separate shower compartment with power shower. 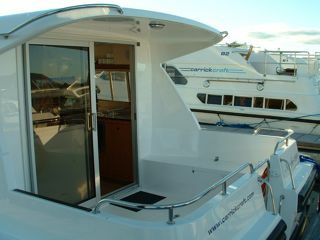 Full central heating with demisters on windscreen and heated towel rail in toilet compartment. 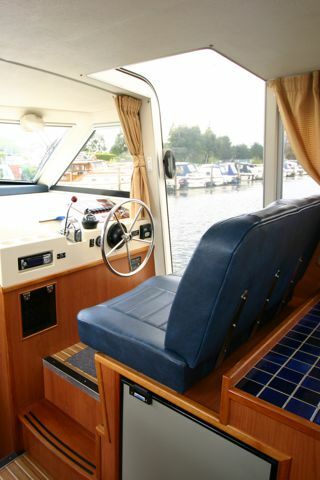 Four forward facing helm seats. 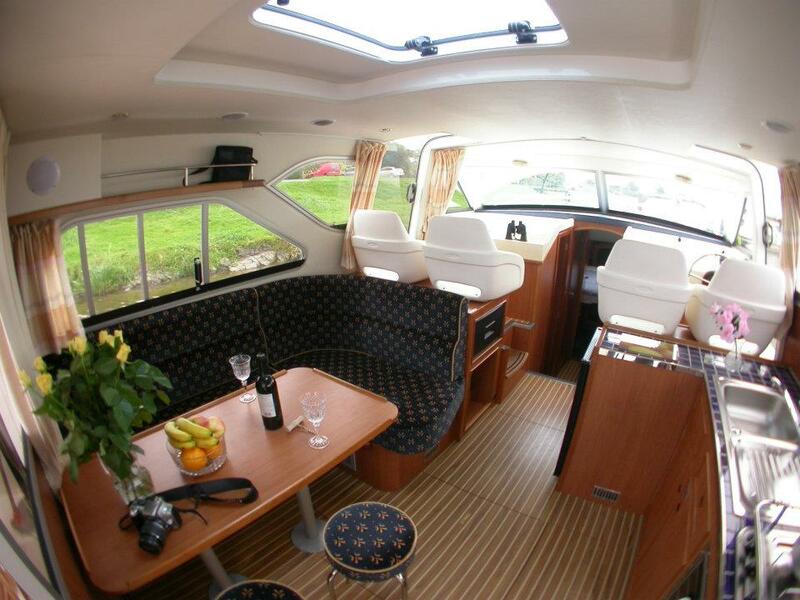 Comfortable helm to starboard with excellent visiblility and easy access to deck from both sides. 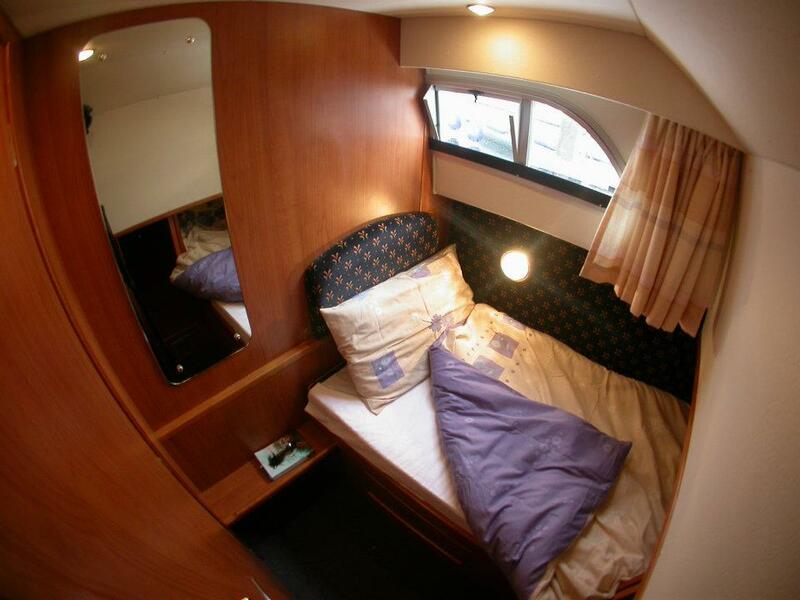 Large bright saloon with convertible double bed. 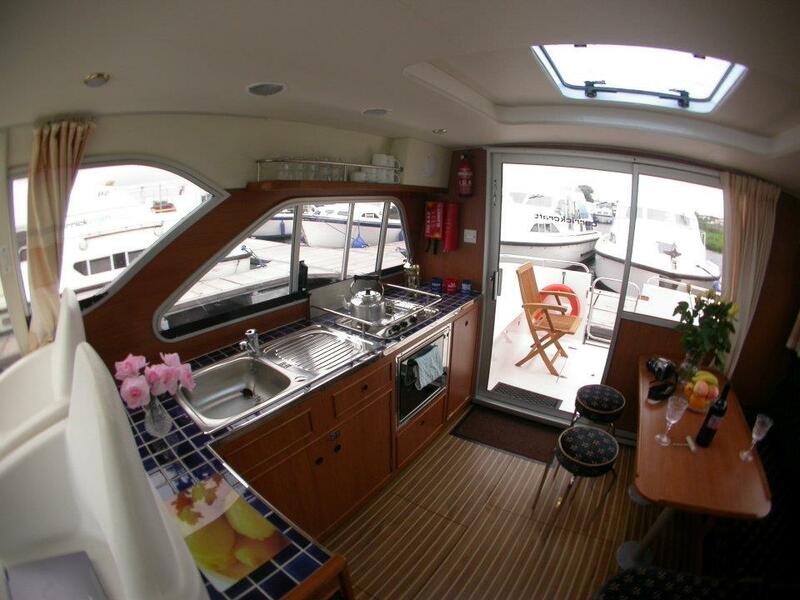 Fully equipped galley with three-ring cooker and oven/grill. 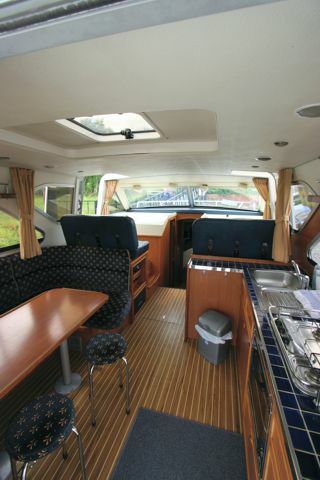 Two fridges – one for your food and one for bottles and cans. 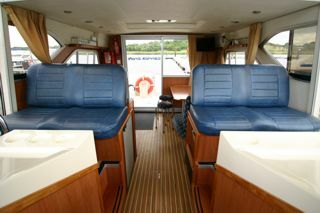 Large Cockpit with seating and table.